Let us raise our voices high to demand the application of Allah’s Law by the establishment of the Khilafah Rashidah (righteous Caliphate). The application of Sharia by the establishment of the Khilafah Rashidah is the desired change. The real change (Khilafah) is an obligation of your Lord, the glad tiding of your Messenger (saw) and the source of your glory. O who Allah testified to your Iman, BE PIONEERS OF REAL CHANGE, by applying the systems of Islam. Chanting slogans calling for the establishment of the second Khilafah Rashidah on the method of the Prophethood. 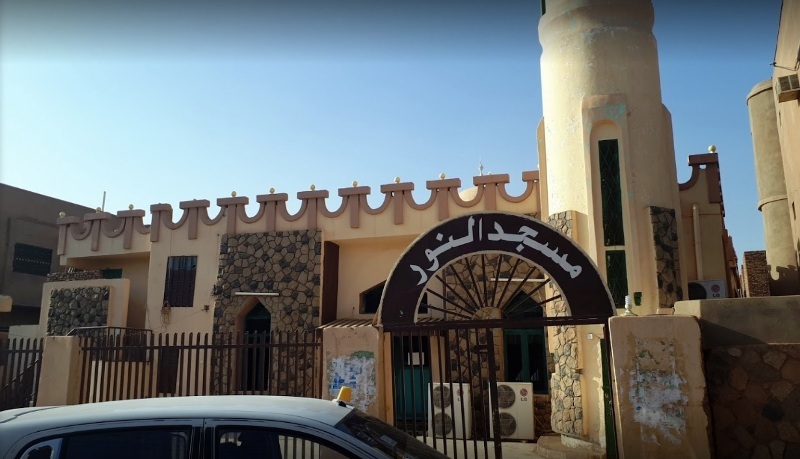 As well as the official spokesman of Hizb ut Tahrir in Wilayah Sudan, read aloud an appeal issued by Hizb ut Tahrir / Wilayah Sudan entitled: “Call from Hizb ut Tahrir / Wilayah Sudan to the Pioneers of Mosques, the Houses of Allah on Earth”, urging the pioneers of the mosques to raise their voices high, to demand the application of the systems of Islam and its Shariah, and to be at the forefront of the workers for the real change, which is achieved by coming out from the yoke of the forced [oppressive] rule, and entering into the rule of Islam; the Khilafah Rashidah on the method of the Prophethood. The audience reacted enthusiastically to the call, and their throats chanted Takbeer and Tahleel.